Christie Hardwick has been a champion in the movement for equality and social justice for GLBT people for two decades. She started as an advocate for first-time domestic partner benefits in the school district of which she was an elected trustee and eventually chaired the national board of GLSEN, facilitating and coaching top leaders in the movement and leading the executive forum for Out and Equal Workplace Advocates. She helped produce and was featured in the American Leadership Forum's film “I Do, Who Can't,” which engaged silicon valley leaders from all sectors in the dialogue uncovering the real issues of marriage equality. 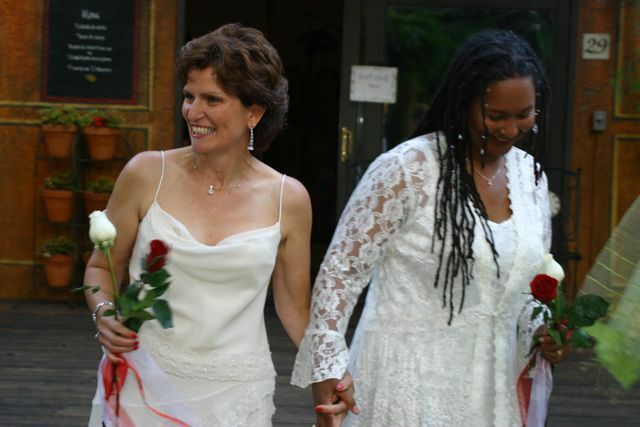 A speaker and consultant in leadership, diversity, and inclusion, she is a ordained minister called on to design and officiate same-gender marriage ceremonies throughout the year. Visit Christie’s website at www.inspirationgatherings.com.